Here is another post that has been in the wings for a long time, but which appears now with sudden news that completely changes how I have written it, with a new and unexpected happy ending! So, let me tell you a story about an article I wrote and its path to publication, which is also the story of a journal from beginning to more-or-less end. This is a story that begins in 2012, when a team of four bright postgraduates doing early medieval doctoral study at the University of Leeds decided that what they wanted to do was to start a new journal. With great energy and determination, they got a website set up and assembled an impressive-looking editorial board, largely, I later learned, by getting their supervisor to call in favours on a massive scale. Nonetheless, they did it, and got in several convincing looking articles to kickstart the first issue, as well as a set of book reviews and conference reports to fill it up. Somewhere in the process, they started talking to the then-brand-new anarchistic academic press, Punctum Books, and secured an arrangement with them by which Punctum would give this new journal a print existence, on demand. With that, an ISSN and a professional-looking website running the Open Journal System, they were good to go and off they went. Thus was born the journal Networks and Neighbours. I became aware of this about midway through 2013, I think, when the first issue went live and I was finishing up at Oxford. Somewhere in the later part of that year I became aware that they were now on volume 2 and I decided I wanted in. There have, I know, been repeated attempts to turn the Internet into the new space of freely-available scholarship at the highest level—I think of now-dormant journals like Chronicon, intermittent journals like The Heroic Age (to whose intermittency I’m conscious I have contributed in my time, or rather failed to contribute, sorry folks), and more successful ones like Rosetta or Marginalia, which latter two survive by being run by a cyclical staff of postgraduate students. So perhaps their odds weren’t good, but there seemed to be something about the set-up, the ethic, the coincidence with the burgeoning open access movement and the number of important people they had behind them, and I decided that this looked like fun and possibly the future and that as someone who was, at that stage, still being published as an authority on scholarship on the Internet, I should endorse it.1 They had a call for papers up about cultural capital, which made me wonder whether some of my new work on the frontier as concept could benefit from an application of Bourdieu, and so I put a little while into writing an article-length version of some of the ideas I worked up in my big frontiers posts here, making cultural capital one of the backbones of my argument.2 By the time I’d finished (which I did, as I recall, largely in an afternoon spent in the Bibliothèque de l’Université de Genève, thanks to a kind host who will not wish to be named), I thought it was pretty good, but it had also really helped me think through some of that material and start making it do useful things. Initially, things seemed to go well. I mean, they were inconvenient, but only in the way that peer review can be, in as much as the article went out to review and came back with a report that basically said, “if your points are any good they ought to work in Castile as well as in Catalonia and I’m not sure they do, but convince me”. Of course, it was an article about Catalonia, not Castile, but since my project pitch was that I was generating transportable theory, I decided I had to face the challenge. So I downloaded or borrowed everything I could on the Castilian frontier in the tenth century, while my first job in Birmingham drew to a close, and sent off a revision, which was nearly twice the length (and nearly half of that now citation) but did, I flatter myself, satisfy that requirement. Anyway, it satisfied the editors, who had all but one now graduated and moved on, and before very long at all a pre-print version appeared on their website and everything seemed to be under way. Admittedly, that preprint did spell my name wrong—not that that would be a first among my publications—and even after I’d sent in proof corrections which also made it clear that the preprint’s pagination was wrong, there it remained. So, things now began to get sticky. The supposed print date came and went and nothing seemed to happen, and then the issue after mine went up, and I began to fear that something had gone wrong. Now, at this point in the process, an unexpected but useful thing happened, which was that one of the editors, Ricky Broome, came to present at the Digital Humanities Seminar I mentioned a post or two ago, on 16th November 2015 with the title, “OA and Me: a postgraduate perspective of Open Access publishing”. So I turned up, and of course, it was the story of Networks and Neighbours, peppered with reflections on the wider sphere of open access publishing. Ricky emphasised that in order to edit such a beast you need a living and spare time (which rarely coincide in academia), a credible editorial board and a lot of willpower, including to avoid the temptation simply to fill space in the journal with your own work. He thought that their ability to generate any revenue, even to cover basic costs, had hinged on the production of the print version, since as he put it more people would buy something they could see. He also had great hopes for the immediate future, with another issue in hand, but not so much for the long-term, as he saw the traditional journal as unlikely to make it online in the face of alternative models like repository or publish-then-filter mechanisms of dissemination. The discussion revolved largely around that and alternatives to peer review, but of course what I wanted to know, but waited till afterwards to ask, was where was issue 2.2? And Ricky was helpful and explanatory about that—the problems were not all theirs but their most web-savvy team-member had also got a full-time job that removed him from the project—but it didn’t leave me with much hope. And then a few months later the project officially folded the journal, moving the whole operation onto a Blogspot site where they now intended to publish articles as and when they came ready, in one of those future styles that had been discussed at the seminar indeed, but not what I was hoping for when I’d sent the proofs in expecting print, by now a year and a half before. So I then did something I shouldn’t have done and would live to regret. After one more attempt to get a corrected version uploaded, I told them I wanted to withdraw the article. It was now part of my probation slate at Leeds and I couldn’t see that it would in fact be published, and the protestations of the people I could reach (not Ricky, I should say) that it was published online, for me, failed in the face of the fact that it still wasn’t correctly paginated and still didn’t spell my name right. I would not be able to show it to my colleagues as was, so it wasn’t going to do. Therefore, I needed to send it somewhere else that would actually publish it, which I hoped would be fairly easy since it had already been through peer review. But such a journal wouldn’t accept it if it had already been published elsewhere. So I stamped my electronic foot and got Networks nd Neighbours to take it down and unlink it, which they did; you could no longer download it and it wasn’t listed in the issue. And I sent the article out again and, by way of nemesis, perhaps, the relevant journal rejected it as not being at all well enough informed about Castile. So there I was with no article at all, and no time at all in which to do the reading that would be required to make the necessary revisions. Not my smartest move, and the cause of some difficulties in probation terms, as you can imagine, as well as no little disheartenment about his work for yours truly. So there, apart from occasional denials of its existence to people who’d found references to the article in searches and couldn’t then get it, things rested until May 2018. I only found out about this a few days ago, however: I was putting together an application and thought to myself that I really could use something that demonstrated my ability actually to do this frontiers stuff of which I speak, and I wondered if even the old preprint was still around anywhere to link to. And what I found was that the Blogspot operation has now ceased as well, and the whole journal has been archived on its own static website. And, blessed day, whoever did that job had not got the memo about withdrawal and had, more to the point, somehow found and uploaded the corrected, properly paginated, Jarrett-not-Jarret version of the article which I had never before seen. On re-reading, it is still, dammit, an article to be proud of and I am exceptionally glad to have a version I can, at last, cite. So although I had just about reached Ricky’s seminar paper in my backlog and was preparing a post explaining the story of this missing article, now it has a quite different ending. Of course, the journal’s fate is still an exemplar of what can and can’t be done without institutional support and postgraduate levels of free time, and it helps explain why so few other such journals have made it. I am sad about my meanness in the face of their difficulties now, but hey: Networks and Neighbours the project continues, doing some impressive things, indeed; the journal was itself an impressive thing even if not always printed; and at last I have my article, and I can be happy with that. 1. I refer, of course, to my previous works, Jonathan Jarrett, “Views, Comments and Statistics: Gauging and Engaging the Audience of Medievalist Blogging” in Literature Compass Vol. 9 (Oxford 2012), pp. 991–995, DOI: 10.1111/lic3.12016, and Alex Sayf Cummings & Jonathan Jarrett, "Only Typing? Informal Writing, Blogging, and the Academy" in Jack Dougherty & Kristen Nawrotzki (eds), Writing History in the Digital Age, Digitalculturebooks (Ann Arbor, 2013), pp. 246–258, DOI: 10.2307/j.ctv65sx57.26. 2. A good introduction to the theories in play here is Pierre Bourdieu, “The Forms of Capital”, transl. R. Nice in J. Richardson (ed. ), Handbook of Theory and Research for the Sociology of Education (New York City, NY, 1986), pp. 241–258, online here, and in the words of ‘well-known’ band Half Man Half Biscuit, “if you’ve never, then you ought”. 3. That cite being: Jonathan Jarrett, “Engaging Élites: Counts, Capital and Frontier Communities in the Ninth and Tenth Centuries, in Catalonia and Elsewhere” in Networks and Neighbours Vol. 2 (Binghamton, NY, 2018 for 2014), pp. 202–230, online at <https://nnthejournal.files.wordpress.com/2018/05/nn-2-2-jarrett-engaging-elites1.pdf>, last modified 26 May 2018 as of 12 April 2019. So this piece! This goes back to my time at the Barber Institute, which on looking back was an immensely productive year. Somewhere in it, realising that I was now technically a Byzantine numismatist, the editor of the Numismatic Chronicle lit upon me like a cheery bird of prey, brandishing two books for which he didn’t have a reviewer, extensive studies of the Byzantine gold coinage of Constantinople by a retired professor of architecture by the name of Franz Füeg.3 I thought this was a relatively good way to advertise my participation in this field—and at the time, of course, I didn’t know how long I’d be in the field—and agreed, and then once I got reading realised that I’d let myself in for more than I’d bargained. The two books are complex, brilliant in places and questionable in others, and by the time I had a full stock even of the first volume, my draft review was nearly 4,000 words and also late. I sent it in in March 2017 and the editor kindly but firmly suggested that if it was going to be like this, I might as well do both volumes properly and call it a review article, and use it to comment on the state of the field a bit more broadly as well as these books. Now even that took some time, because of course the job at Leeds had started by now and as you’ll have noticed that has kept me busier than I’ve been before. It also meant some more reading in this field I technically no longer worked in, very largely the works of Cécile Morrisson, and it wasn’t till November 2017 that that text finally went in.4 That was calculated to work with the timetable of the Chronicle, however, and I knew it would be in time; and therefore, it emerged in February 2018 and looks like this. I am quite pleased with this article. I’m not really sure I have the experience or expertise that should let me comment on Byzantine numismatics like this, even over a constrained period, but it does seem to me that Füeg’s books, while problematic in a huge range of ways, show up problems with our current paradigms over some things, most especially the organisation of the Constantinople mint (and especially officinae, for those who care), artistic seriation of coinages (though that should have looked like a problem already), who the die-cutters were and how many of them were at once, how we define obverse and reverse in the Byzantine coinages, how effective coins could have been as imperial propaganda (a point I’ve been teaching with ever since), and the nature of a possible demonetisation under Emperor Michael III, as well as some more of my points about the reasons for the production of concave coins already discussed.5 In other words, it’s quite wide-ranging—it even takes a few stabs at the literature on the bronze coins while it passes, though my suspicion is that Andrei Gândilá will sort that out before I get round to intervening there—and I think it’s quite clever in places.6 So, if you’re interested in any of those issues, you might want to have a look at it. I can’t post a PDF for two years, that’s the agreement, but obviously as a numismatist you should be subscribing to the Chronicle anyway, right? And if you do, then you’ve already seen this and I didn’t need to tell you, but I am still quite pleased with it. 1. Cited from Captain Beefheart and his Magic Band, ‘Long-Necked Bottles’, on idem, I’m Gonna Do What I Want to Do (Live at My Father’s Place, 1978) (Rhino Records 2003), since you ask. 3. Franz Füeg, Corpus of the Nomismata from Anastasius II to John I in Constantinople 713–976: Structure of the Issues; Corpus of Coin Finds; Contribution to the Iconographic and Monetary History, transl. H. Thomas Hofmänner, ed. Italo Vecchi (Lancaster 2007); Füeg, Corpus of the Nomismata from Basil II to Eudocia 976–1067: Corpus from Anastasius II to John I 713–976 with Addenda; Structure of the Issues 976–1067; The Concave/Convex Histamena; Contribution to the Iconographic and Monetary History, transl. H. Thomas Hofmänner, ed. Italo Vecchi (Lancaster 2014). 4. I would recommend Cécile Morrisson, G. Schaaf and Jean-Michel Spieser, Byzance et sa monnaie, IVe–XVe siècle: précis de numismatique byzantine. Catalogue de la collection Lampart à l’Université de Fribourg, Réalités Byzantines 15 (Paris 2015), in which pp. 7‒104 are a ‘Précis de numismatique byzantine’ that somehow encapsulates much of her expertise, with shiny new diagrams. 5. On which last issue, of course see now Jonathan Jarrett, ‘Why did the Byzantine Coinage Turn Concave? Old Suggestions and a New One’, in Maria Caccamo Caltabiano (ed. ), Proceedings of the XV International Numismatic Congress, Taormina 2015 (Roma 2017), PDF Addendum pp. 1-4. 6. I’m thinking here especially of Andrei Gândilá, ‘Heavy Money, Weightier Problems: the Justinianic reform of 538 and its economic consequences’ in Revue numismatique Vol. 169 (Paris 2012), pp. 363–402, online here, but he’s been busy and there’s lots more I need to catch up with. Somehow, as we near the very end of 2018, I still haven’t told you all about my last publication of 2017. Let’s not talk about why that is—words like ‘term’ and ‘marking’ would feature large in such a talk, and now neither of those things pertain—but instead I’ll tell you its story, which is one of those that probably shouldn’t have happened, but since it did it needs explaining. You will remember, I imagine, that I was at the International Numismatic Congress in Taormina in 2015, because I did eventually recount it all here. You may also be aware that the proceedings from that Congress are published, and if you’re very up in the numismatic news loops and could afford the substantial cost of the volumes you may have got them, and realised I’m not in them. And if I’m very lucky, or unlucky, you may have thought: what happened there? Cover of Maria Caccamo Caltabiano (ed. ), Proceedings of the XVth International Numismatic Congress, Taormina, 2015 (Roma 2017), vol I. Well, I wondered that myself when a colleague who was also there mentioned that they’d had proofs some time ago, that being the first I’d heard since I sent in my text. So, at that point I got in touch with the editors and asked if I’d been rejected and if they could send me feedback at least. And a week or so later I got a short, but slightly shame-faced e-mail explaining that somehow, the editor of the Byzantine section had missed my paper. Well, by this time the volumes were not just in press but some had been sent out. All that could be done was to format my paper as a PDF addendum and include it as an extra with all future sales. So if you now look for the proceedings you will see that their format is advertised as ‘2 voll. + PDF addendum’, and ladies and gentlemen, that PDF addendum is all me, all 4 pages of it. I had extra fun explaining this to my university library when they had to decide what file to put in the open access depository; first I had to convince them it even existed. But it does, and so, I commend it to your notices, and also wish you all a happy 2019.1 There will be more from me in it. 1. Jonathan Jarrett, ‘Why did the Byzantine Coinage Turn Concave? Old Suggestions and a New One’, in Maria Caccamo Caltabiano (ed. ), Proceedings of the XV International Numismatic Congress, Taormina 2015 (Roma 2017), Addendum pp. 1-4. I have time for only a short post this weekend, but happily, I was just asked a question here that can be answered in such a post, and which also fits into the pattern of alternating what we might call ‘historical’ content with a recounting of my various and dubious scholarly achievements. So, this post, let me bring you up to date with that well-known scholarly series, Medieval European Coinage! Before that time, the team had squeezed out a second volume, co-written by Professor Grierson and Lucia Travaini, and covering Southern Italy from the tenth to fifteenth centuries, but since the first had come out in 1986 and it was now 1998, it was clear that this was all taking longer than initially planned.2 The next volume was supposed to be that on the Iberian Peninsula, and it was because the team needed a copy-editor who knew some peninsular history that I first got into the Fitzwilliam. It’s hard to emphasise now how important that job was for me. Not only did it basically keep me alive during three quite difficult months, but it made me a lot of friends in the department, established in Mark Blackburn’s mind that I could work databases, and thus set me up for what would turn out to be five years’ paid employment, several virtual exhibitions you can still see (and some you can’t), my first numismatic publications and some quite important personal ramifications to boot; I am still reaping the benefit of getting involved with the project, and indeed I still sit on its committee. But when I left the employment of the Fitzwilliam in 2010, the Iberian Peninsula volume was still not yet published, and I have to admit, it was not quite clear then if it would be. Now, that story I’ve told elsewhere and obviously it did emerge, finally, in 2013.3 That was a great achievement, celebrated in two countries indeed, but it left open the question of which volume would emerge next; we had several under work, and obstacles in the way of them all. As with the legendary London bus, however, you wait four years for one and then two turn up at once, or nearly. The volume covering Northern Italy, by William R. Day Junior, Andrea Sacocci and Michael Matzke, which we were already celebrating at Taormina as described, finally left the presses in November 2016, and very shortly afterwards, in April 2017, it was joined by Rory Naismith’s volume on Britain and Ireland 400-1066, covering some ground already covered by the Earlier Middle Ages volume again simply because the finds pattern has changed our understanding of the way money was being used in early medieval Britain so radically in the, well, thirty years since the project had last offered any thoughts on it.4 And I’m happy to celebrate this as in some small way my achievement as in 2008 to 2009 I copy-edited as much of the Northern Italy volume as then existed, and though I’ve no idea how much of my work remains visible in the finished volume—I certainly don’t have the files against which to check—nonetheless, this is something I had a hand in and now it exists where people can use it, so I’m happy. 1. 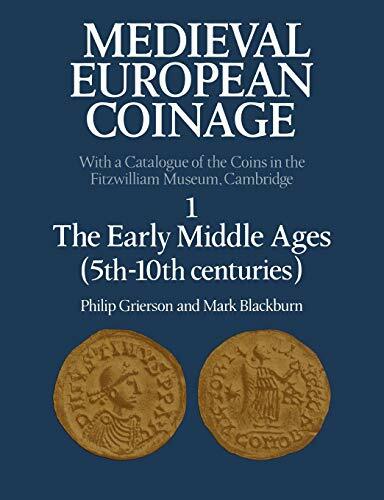 Philip Grierson and Mark Blackburn, Medieval European Coinage, with a Catalogue of the Coins in the Fitzwilliam Museum, Cambridge, volume 1: the Earlier Middle Ages (5th-10th centuries) (Cambridge 1986). 2. 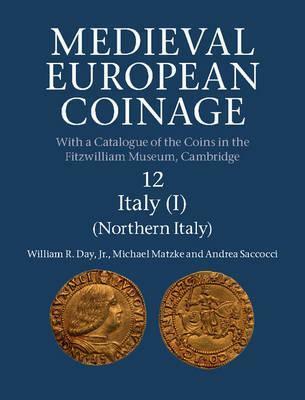 Philip Grierson and Lucia Travaini, Medieval European Coinage, with a Catalogue of the Coins in the Fitzwilliam Museum, Cambridge, volume 14: Southern Italy (Cambridge 1998). 3. 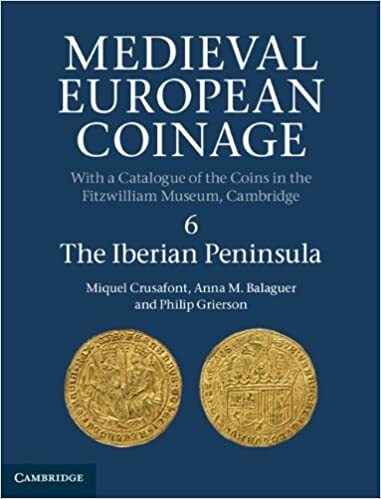 Miquel Crusafont, Anna Balaguer and Philip Grierson, Medieval European Coinage, with a Catalogue of the Coins in the Fitzwilliam Museum, Cambridge, volume 6: the Iberian Peninsula (Cambridge 2013). 4. William R. Day Jr, Andrea Sacocci and Michael Matzke, Medieval European Coinage, with a Catalogue of the Coins in the Fitzwilliam Museum, Cambridge, volume 12: Northern Italy (Cambridge 2016); Rory Naismith, Medieval European Coinage, with a Catalogue of the Coins in the Fitzwilliam Museum, Cambridge, volume 8: Britain and Ireland, c. 400-1066 (Cambridge 2017). The chronology of the content in these posts is a struggle for me to follow, so I dread to think what it’s like for you, dear reader, but despite that, having now shown you more photos of medieval places from late 2015, I now want to bring you forward to April 2017, when somewhat to my surprise, a new publication of mine I’d more or less entirely forgotten about suddenly turned up in my pigeonhole at work. Cover of Richard Verdi, Sarah Beattie, Jonathan Jarrett, Nicola Kalinsky and Robert Wenley, The Barber Institute of Fine Arts (London 2017). It is perhaps a sign of the way that the world of museums works that of the five named authors, only two still worked at the Barber by the time it came out—we’d noticed the same churn in the All That Glitters project, where all the remaining participants were in different jobs by the time we finished—but I felt especially flattered by my name appearing there, because my entire contribution to this book on which I am named is three of the six coin entries, probably a total of about 500 words. (The others, like a lot of the text, remain from the previous edition.) So this is a very generous, and probably undeserved, co-authorship, but I was of course inordinately pleased by it anyway. And as ever with museums versus academia, more people will probably read those entries than any of my actual academic work! The actual coins that got the benefit of my attention were these, a denarius of the Roman Emperor Claudius showing Nemesis (because we had to replace the previous Roman coin entry), a drachm of Shahanshah Shapur II (because the Barber has a really good collection of Sasanian coins that wasn’t even mentioned before and I insisted), and a ducat of the Knights of the Hospital of St John struck at Rhodes, because it’s unexpectedly flashy, one of those dissertation students had helped me identify it not long before, and because I was determined to get some of our medieval in there as well.2 (The other coins in the catalogue are a tetradrachm of Lysimachus I, a solidus of Emperor Leo VI and a sovereign of Mary Tudor.) So I did those things (including getting the coins online, where they are), and they can thus be seen! And now you know. Statistics, as long as we’re counting: obviously, this work was never presented, and it went through only one draft, as I’ve described. What that also means, of course, is that it ran a pretty standard year and eight months from first submission to print, stretching that average out just that bit further, but in a volume with this many moving parts that is perhaps not too surprising, and I’m completely happy with how it came out, which is maybe more surprising by now! 1. Full citation, as above, Richard Verdi, with Sarah Beattie, Jonathan Jarrett, Nicola Kalinsky and Robert Wenley, The Barber Institute of Fine Arts (London 2017). 2. My contributions appear respectively ibid. pp. 18, 19 & 20. Well, the paper submissions are coming in, whch is very gratifying (though you still have two days to submit yours! Go on! *), and in the meantime I have been to Turkey and back and had food poisoning and recovered, and teaching is very nearly about to start. I’m often unsure when I look at my life that I really expected it to be like this when I finally ‘made it’, but here we are. And it seems to be a bit more than a week since I said anything here so it must be about time, and what it seems to be about time for is reporting on recent achievements, in the hope that at some point I will actually catch up to the genuinely recent ones. But right now, I have something from the end of March last year to bring to your attention. At that time, there appeared in the world this rather hefty volume, the Routledge Companion to Iberian Studies, edited as you see by Javier Muñoz Bassols, Laura Lonsdale and Manuel Delgado. And of course, the reason that I mention this is that I am one of the literally-fifty authors therein contained. Witness! This really happened because I ate lunch with Laura Lonsdale occasionally for a period of three years, but it’s real work despite the inside connection. This chapter represents the first substantive thing to come out of my ‘new direction’ on frontiers, and it aims basically to set the chronological limits of what I think of as ‘my’ period of the Christian-Islamic frontier in the medieval Iberian Peninsula, that being the one in which it didn’t, overall, move very much. In it, therefore, something like a standing frontier society can genuinely be spoken of. Subsequent periods, in which that was instead a dynamic, and forever normalising, frontier society are no less interesting, perhaps more so for some questions, but I argue here for a coherence of that static interval as a historical period and, further, that the fact that it doesn’t clearly belong in the narrative of the eventual expulsion of ruling Islam from the Peninsula, and so doesn’t really serve the teleology of the modern nation state, shouldn’t exclude it from study. After all, in the year 1020 Navarra was basically ruling what would become Northern Spain. That never happened again but that doesn’t stop it being interesting, and yet there’s almost no work on it, especially in English.1 So I argue here that the Christian-Muslim frontier 718-1031 was different from other frontier situations of the peninsula and set up dynamics of its own, which we should look at more. Boring statistics, because I still like those: unlike most of my work, this was never presented live. I wrote it, pretty much to order, in Birmingham in June 2014, in conjunction with another related article which is the subject of one of those worse stories just mentioned and never came out. I took it through two more drafts even before I had a response from the editors, largely because of the development of the companion piece, but the actual version for review in light of editors’ comments went in in July 2015, and the post-review version in December 2016. After that point, as you can see, things moved fairly fast, but still, time from first submission to print is a pretty desultory two years nine months, worse even than my average such interval. But when it did come out, it was very gratefully received! * Wow, in fact, two more submissions even as I’ve been writing this! 1. Predictably, now that I check there is actually more than I realised, principally conference volumes resulting from the millennium of this unusual episode. I knew about Ángel Juan Martín Duque, Sancho III el Mayor de Pamplona: el rey y su reino (1004-35) (Pamplona 2007) but not about Ante el milenario del reinado de Sancho el Mayor: un rey navarro para España y Europa (Pamplona 2004)—though this seems mostly not to be about Navarra—Isidro Gonzalo Bango Torviso & María del Carmen Muñoz Párraga (edd. ), Sancho el Mayor y sus herederos: el linaje que europeizó los reinos hispanos (Pamplona 2006)—almost entirely art history—or Gonzalo Martínez Díez, Sancho III el Mayor: Rey de Pamplona, rex ibericus (Madrid 2007), so I have some reading to do if I can get hold of any of these. There’s still nothing in English at all beyond two encyclopedia entries by Teresa Earenfight and snippets of books by Roger Collins as far as I can see, however, and there are few who snippet better but it’s still not what you could call deep analysis. 2. I seem not even to have graced the booklet with a blog entry! It should therefore at least get a citation, which is: Jonathan Jarrett, Inheriting Rome: the imperial legacy in coinage and culture (Birmingham: the Barber Institute of Fine Arts 2015). So, this post is one of the self-publicity ones, and I’ll follow it with one of the stubbed relics, all of which is largely because I’m not enjoying the prospect of writing up the International Numismatic Congress in a single post. But why am I apologising? Surely the whole point of blogging is to make yourself more famous, right? So look, here’s something I’m proud of: in April 2017 I got given about £5,000 to fund a collaboration with a colleague in Turkey on a project called ‘Not the Final Frontier’: the World of Medieval Islands. Dr Luca Zavagno of Bilkent University, looking very cheerful for reasons that are about to be explained! The backstory to this is quite happenstance, which is so often the best way for things like this to happen. 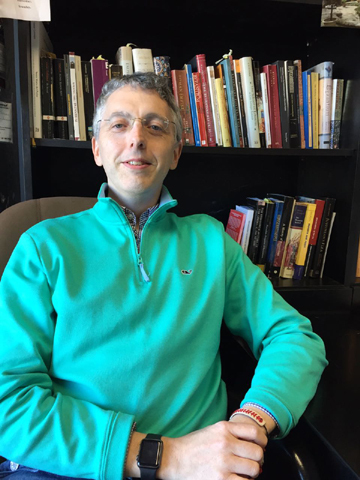 Dr Luca Zavagno is a historian of the late antique Mediterranean who had at the time of writing lately been given a permanent job at Bilkent University, at Ankara in Turkey, but his Ph.D. is from Birmingham’s Centre of Byzantine, Ottoman and Modern Greek Studies, in association with which I had worked between 2014 and 2015. We also have important people in common, and I can’t actually remember right now how we met, but Birmingham seems likely to explain it somehow or other. Luca, with a ridiculous amount of publication already behind him, was then (and is now) writing a book about how scholars have misunderstood the active rôle played by Mediterranean island communities in the Byzantine Empire after the emergence of Islam, and how we need to put them back on the map, as a kind of third space next to the Anatolian plateau and Ægean seaboard that have otherwise been determined as its major zones.2 And because Luca is a cautious scholar, he decided he needed help getting this right. That was precondition one. So it was Luca’s idea really, but we put in together for a three-part extravaganza, in which first of all Luca would come to Leeds and meet people there and run a graduate seminar, then to Birkbeck in London where our most important mutual friend, Rebecca Darley, is based, for similar activities, at each stage honing Luca’s project agenda and identifying its key areas of importance and difficulty, and finally ending up with a workshop for us all in Ankara. It was surprisingly easy to get, though I’m not going to say that without making all due obeisance to Rebecca and to the Leeds Humanities Research Institute for making the application better and easier, respectively, without whom I doubt we would have been as successful. But nonetheless, successful we were, and actually that was already so long ago that we have now done all the activities we promised. Indeed, you can see some of the details on our dedicated website, which is all the work of Luca and his excellent intern Harun and for which I can take no credit. So, how did it all go? Well, Leeds went OK; we wound up doing it at such short notice that attendance at the events, especially the graduate seminar, was not what it could have been, but it did what was needed, which was to get Luca project feedback from many different levels and interest people here in his project. Learning from this, the London events were constructed more ambitiously and were more about Luca leading other people through his learning, and I wasn’t there but understand they went excellently. Somehow, however, none of this had cost as much as we’d expected. Once I had convinced Luca that this was actually a bad thing, due to the weird perversity of UK grant economics, he stepped up with a will and the Ankara workshop suddenly inflated from being just a project meeting to being a small but fully-fledged international conference! I will talk about that in its due season, but the programme details are visible here. Now in theory it could have ended there, as we’d really done all that we promised, but we were so pleased by how the conference had gone that Luca was determined to do something with it, and the obvious thing to do with a seven-paper conference seemed to be a themed journal issue that we co-edited. And that is what we’re doing! Now, this is a publication in process, and I am always superstitiously worried about talking about those until they come out—what if they get rejected after I’ve told you all about them?—but we have had two of the eventual six articles accepted already, so probably something is going to happen. Mine isn’t yet one of them, though, so I still won’t tell you what or where, just that as you can tell the timing for that to all have happened so soon was really quite tight, and I had to put aside or postpone a number of other important things to get it done on time. It is also my first time co-editing a journal, and managing the peer review has been a weird experience, though doubtless very useful. For anyone other than Luca I might not have put myself through all this; but as it is, gods willing, it’s an extra article and co-written intro that may be out next year that I wouldn’t otherwise have, on stuff I’d never otherwise have looked at, all because Luca thought we could do some good trying to get money to make his book better. I’m rather proud of it all. See how great a matter a little fire kindleth! 1. What do I mean? Well, in the great work crisis of 2016-17, I was basically working every weekend to stay afloat, just on the stuff that needed to happen next week, let alone research. At that point blogging was a long way out of the realm of possibility, but when things got easier, as they now are, it was still hard to see where it fitted. There was still, and likely always will be, more to be done than would fit in any reasonable time, but I’d begun to realise the importance of taking time off as well. (Yes, I was late to that party, I know.) The trouble since then has been finding where blogging can fit. It’s not that I think my bosses would get angry at my blogging on work time, but I certainly don’t think they’d see it as a core task. As it is, I have a work triage list: blogging sits at no. 10 on it and so far, in the entire history of my employment at Leeds, I have not made it below no. 9, and in an ordinary week even out of term won’t usually see no. 7. So it has to be done outside work time, but I struggle to allocate that, and usually succeed only by going out or doing something entirely non-academic. If I’m in and have a computer up, I’m probably working. Today, I made a deliberate decision to blog instead of whatever my other tasks might be, but that’s what it has taken. The problem is that blogging is no longer a habit for me, and there isn’t really room for it to recover that status. I will work it out, but I’m not there yet. Saying to myself, ‘it’s Saturday and nothing’s in crisis; today they don’t own me’, is a start, however. 2. Key texts here might be Telemachos Lounghis, Byzantium in the Eastern Mediterranean: Safeguarding East Roman Identity (407–1204) (Nicosia 2010); Filippo Burgarella, “Bisanzio e le Isole” in Paola Corrias (ed. ), Forme e caratteri della presenza bizantina nel Mediterraneo occidentale: la Sardegna (secoli VI-XI) (Cagliari 2012), pp. 33‒42; Dominique Valérien, “The Medieval Mediterranean” in Peregrine Horden and Sharon Kinoshita (edd. ), A Companion to Mediterranean History (Chichester 2014), pp. 77‒90; and most of all, Elizabeth Malamut, Les îles de l’Empire byzantin, VIIIe‒XIIe siècles, 2 vols (Paris 1988). For the two zones of Byzantium see Chris Wickham, Framing the Early Middle Ages: Europe and the Mediterranean 400‒800 (Oxford 2005), pp. 29‒37, though the idea didn’t start with Chris. Luca’s own answers begin to be set out in Luca Zavagno, Cyprus between Late Antiquity and the Early Middle Ages (ca. 600–800): An Island in Transition (London: Routledge, 2017) and Luca Zavagno, “Islands: not the Last Frontier: Insular Model in Early Medieval Byzantine Mediterranean, c. 650-c. 850″, in Giuseppe D’Angelo and Jorge Martins Ribeiro (edd. ), Borders and Conflicts in the Mediterranean Basin, Mediterranean, Knowledge, Culture and Heritage 2 (Fisciano 2016), pp. 37‒50, and more is coming, evident not least in the fact that I have stolen all these references from draft versions of it! I know my recall isn't perfect, and I'm always anxious to correct mistakes and happy to acknowledge them. If you think a correction is necessary or appropriate, please leave a comment or contact me by e-mail. "Ceremonies of Property Transfer in Carolingian Catalonia: a model of documented transaction"
"Miles or militia: war-service and castle-guard in tenth-century Catalonia"